Lightweight full peak helmet with integrated 6 point terylene harness and ABS shell for added comfort and protection. One Touch ™ Slip Ratchet for easy adjustment. Conforms to BS EN397. Zero VAT rated. Weighing less than 300g (dependent on model), the EVOLite® is the lightest safety helmet for sale in the UK. A 6-point terylene cradle harness system offers unrivalled comfort without compromising performance. Egyptian cotton core with porous PU coating for maximum sweat absorption. PH neutral, dermatologically tested. Never before has such a precise fit been attainable on an industrial safety helmet, using the unique 1-2-3 point harness depth settings. One Touch ™ Slip Ratchet. 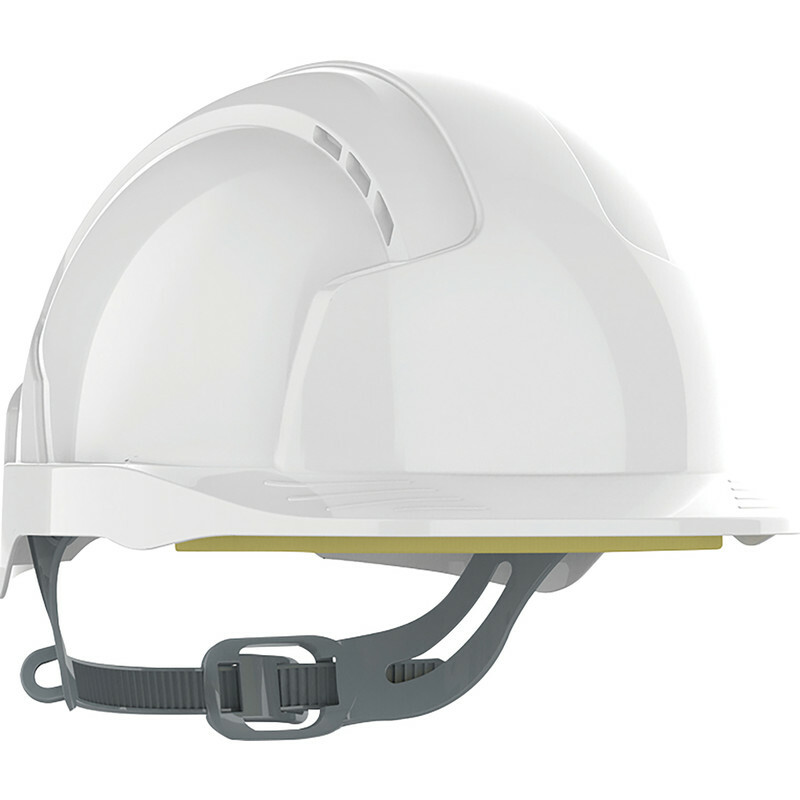 Enables firm fitting of a range of Surefit™ safety visors and ear defenders. Extra large area for logos on the front, sides, and rear.